As we noted last week, right-wing radio host, commentator, conspiracy theorist and Donald Trump–obsessed sycophant Wayne Allyn Root has insisted, from the moment that news broke of a mass shooting in Las Vegas earlier this month, that the massacre was a “clearly coordinated Muslim terror attack.” While Root hasn’t managed to find any evidence to support his claim, that has not stopped him from endlessly promoting any piece of information that he believes supports his theory. Root’s willingness to spread unsubstantiated information was noted by various media outlets, which did not sit well with him. 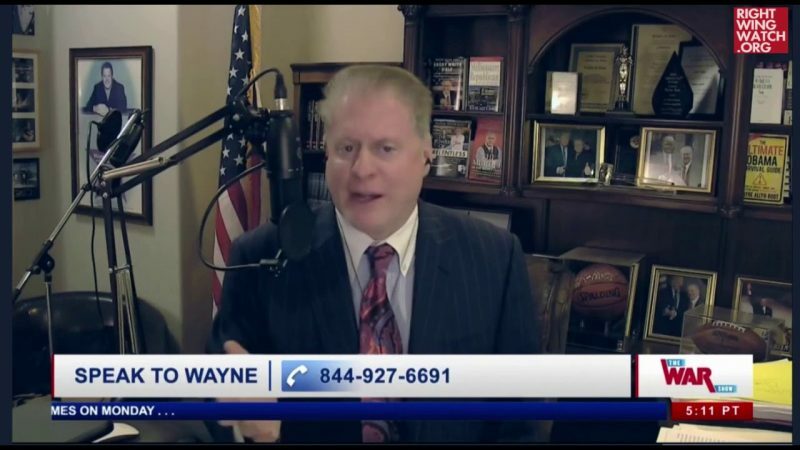 During an appearance on “The Financial Survival Network” with Kerry Lutz earlier this week, Root lashed out at those who have dared to report on his promotion of baseless claims. At one point, Root insisted that the official narrative of the Las Vegas attack makes no sense, citing the fact that Jesus Campos, the Mandalay Bay security guard who first encountered the shooter, had not made any media appearances. The day after Root made this statement, Campos did in fact appear on “Ellen” but Root predictably dismissed it as part of the cover-up.